He is the son of Lancaster and grandson of Conan on his sire's side. Density, big boned frames, and gorgeous heads are the hallmarks of those lines with lots of color tricks. 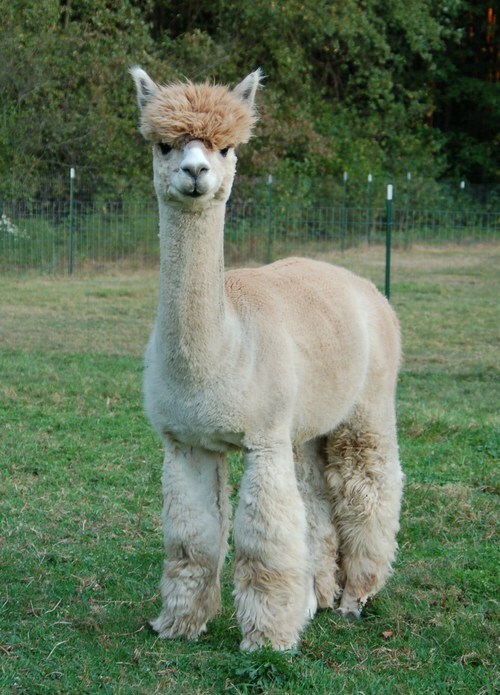 His dam is a daughter of Peruvian Julius Caesar and granddaughter of Accoyo Caligula - density, fineness, and outstanding crimp character follow down those lines as well as some interesting color twists. 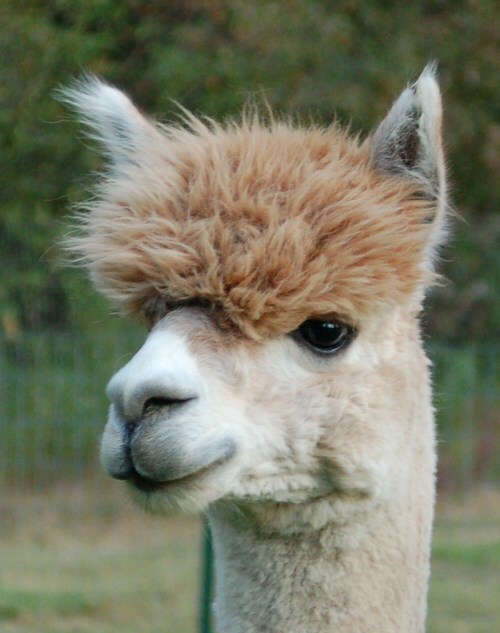 Thor's cria have come in a variety of colors, which includes dark rose gray and bay black. This year, Thor gave us a beautiful, completely solid in color light fawn girl with high frequency crimp, density and conformation. She is a show stopper and we cannot wait to see her grow into her full potential. Watch for her in the show ring. 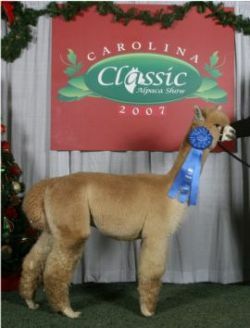 We are excited to own part of this male with Ross Alpaca Ranch and Whistler's Glen. Call or email us to talk about this male and the females we plan on breeding to him. 18 months same as cash or up to 4 years financing.